Planning to travel to Croatia, but are still not sure about where to go? On this text, you will find out everything about the best of Croatia tourism. Welcome to Hrvatska! What to visit in Croatia? Here is our selection of the best places in Croatia. If you have enough time, make sure to visit it all. You won’t regret it! Croatia is blessed with stunning nature. While in the country make sure to visit at least one national park. When you Croatia you can be sure you won’t be hungry! The portions around here and huge and the food is delicious. Before traveling to Croatia, make sure you know in which season you wanna visit. 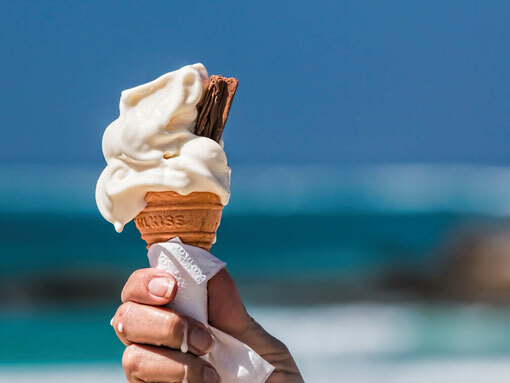 Summer and winter have extreme temperatures so take a look before packing. Well, what will define this answer is: the time of the year in which you will visit the country and how many time you have available for the trip. To help you plan your vacation, here are some important information. Find out the best about the main cities of the country. 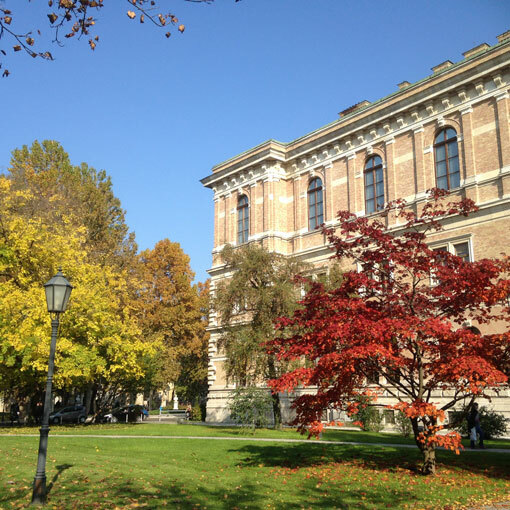 The capital of Croatia is a flat, leafy town full of parks and cafes. 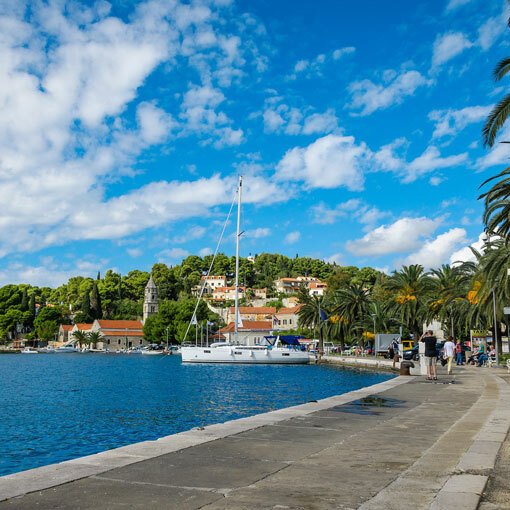 It is a great starting or arrival point for those who come from neighboring countries and decide to continue traveling to the south of Croatia. Even though it is the capital of Croatia, Zagreb does not have the feeling of “big city”, the atmosphere is very welcoming. And it is possible to visit all the main sights of the center on foot. 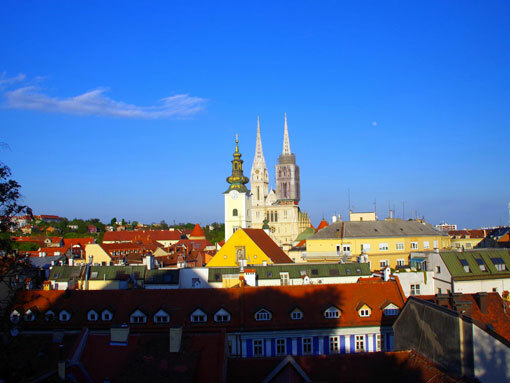 While in Zagreb, make sure you do as locals do. Choose a cafe and sit down to enjoy it for hours, chatting with friends and enjoying the moment. If you have more time in the capital and want to go beyond the center, visit the Maksimir Park and Zoo; the famous Mirogoj Cemetery; and the Sljeme Mountain, where during the winter is possible to ski and play sleds. Zadar is internationally known for its beautiful sunset, considered the most beautiful in the world. But the city also has the first and only Sea Organ. A construction that mixes architecture, urbanism, and nature. And results in a harmonious melody created by the sea waves. Close to the Sea Organ is the “Greeting to the Sun”. Another modern installation. The Greeting to the Sun is made with several colored plates that capture the solar energy during the day. At night, it all lights up, turning the place into a feast of colors. It is the joy of the children and also of the grown-ups. 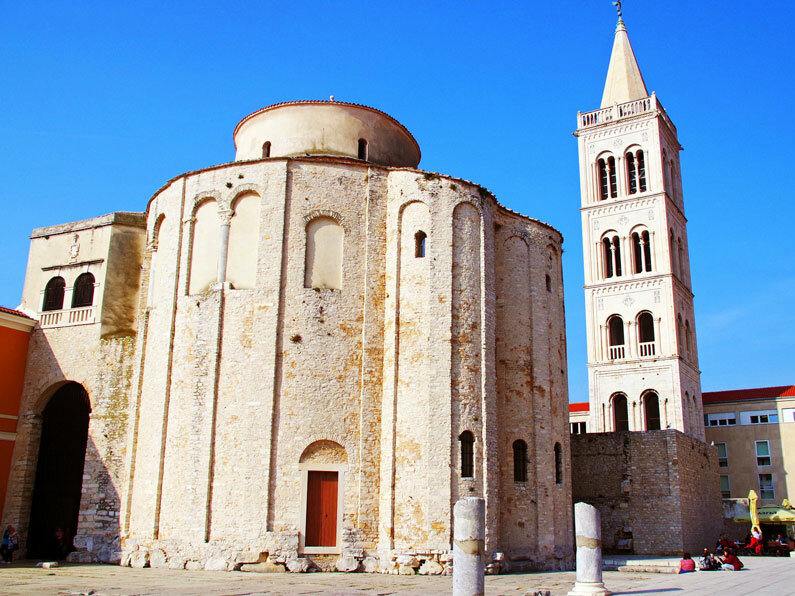 Besides these contemporary works, Zadar is also full of history. Do not forget to visit the Roman Forum, St. Anastasia Cathedral and the Church of St. Donatus. 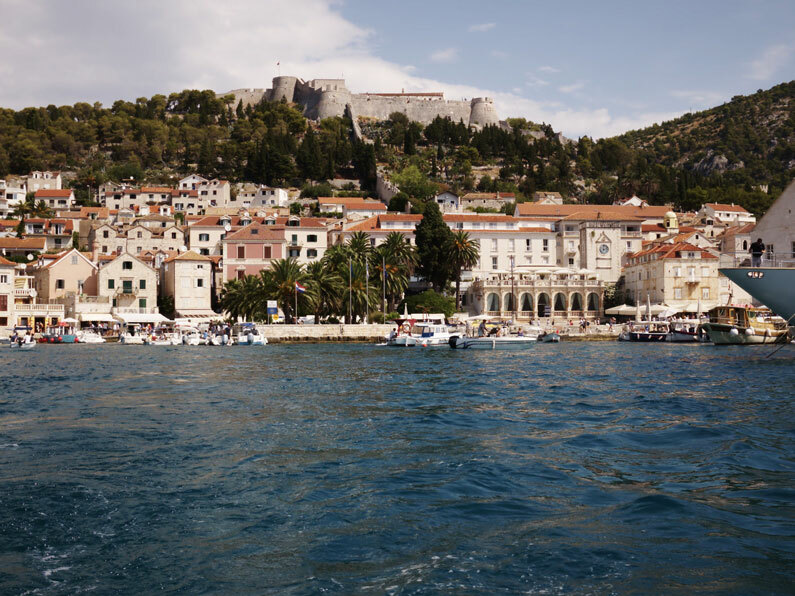 When visiting Split you will be sure that time has stopped there. After all, people still live in a Palace built in the fourth century BC. Really! The Roman Emperor Diocletian especially choose the city of Split to house his marvelous Palace, built so he could enjoy there his last years. 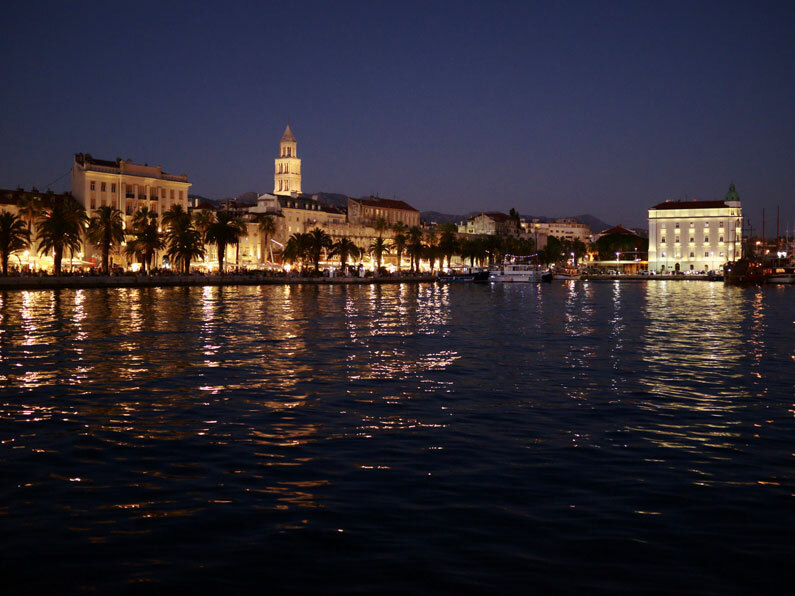 Split has in itself, besides impressive historical atmosphere, a vibrant passion for fashion. Boutiques and local brands are all over the city, making Croatia’s second largest city, the fashion capital of the country. 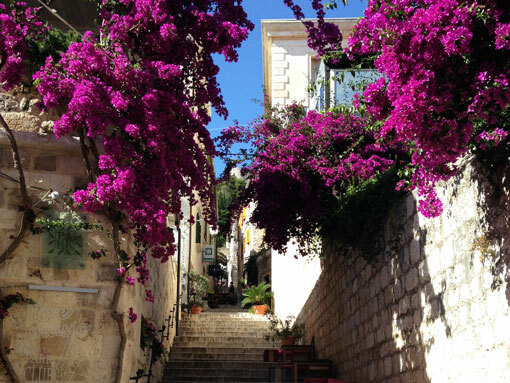 The island of Hvar is the favorite of summer travelers. Either by young people thirsting for festivities; whether by couples or families wanting to eat well and enjoy the days of rest. No matter what group you are in Hvar is always a good choice. With a natural beauty worthy of movies, small bays, and crystal clear waters; the island has much to offer. The island is the perfect destination if you are in search of a small town with unique charm, stone alleyways, and amazing cuisine. 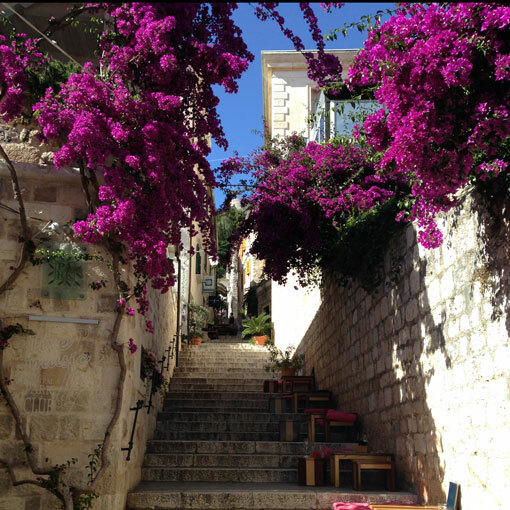 Other interesting places to visit if you have more time around: Mali Losinj Island; Korcula Island, Brac Island and Vis Island. 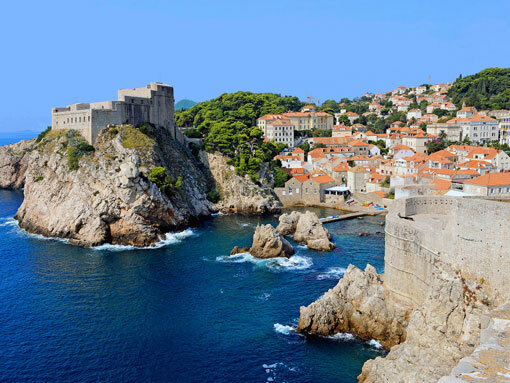 The Pearl of Adriatic or simply Dubrovnik is the favorite of travelers. It unites history, nature, architecture, culture, great gastronomy, and the most famous series locations. That’s why it’s worth a visit, no matter what time of year. Do not forget to visit the walls is definitely worth it! If you have the time, you can also take the cable car to get an extraordinary aerial view of the medieval city. 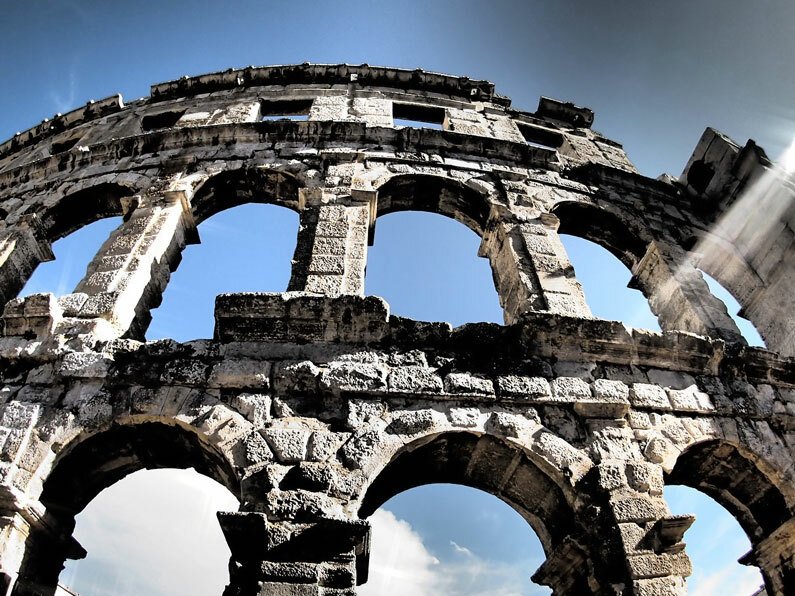 Pula is one of the great attractions of Istria, also known as the ‘Croatian Italy’. The resemblance is such that the city even has its own Colosseum, the Pula Arena, one of the best preserved Roman amphitheaters. Be sure to visit the permanent exhibition inside the Arena and if you can attend some concert. The atmosphere of the place is incredible. Close to Pula, take a day to visit the protected area of Cape Kamenjak. It is full of green nature, bays with crystal blue waters and many rocks. The beach vibe there is unique and completely different from other regions of the country. 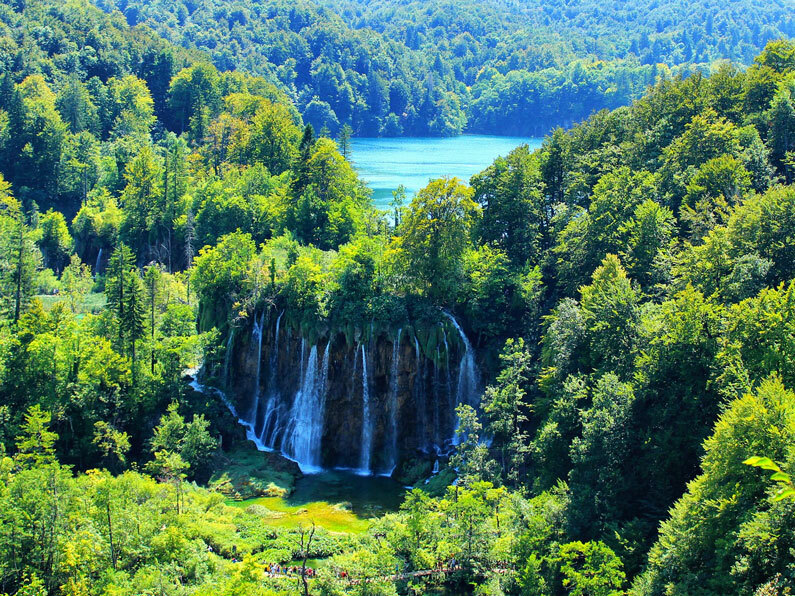 Croatia is also world known for its lush natural parks and waterfalls. The country has eight National Parks: Brijuni, Kornati, Krka, Mljet, Paklenica, Plitvice Lakes, Risnjak and Northern Velebit. Two natural reserves and 11 Natural Parks. The most famous National Park is the Plitvice Lakes; followed by Krka and Brijuni. The Plitvice Lakes National Park is certainly the most beautiful park in Croatia and one of the obligatory points for those who visit the country. On the way to Dalmatia, the park is in the Lika region; 2 hours from Zagreb, the capital of the country; and 1h30 from Zadar, already on the coast. The park is on UNESCO World Heritage list since 1979. What attracts most visitors is its natural formation in waterfalls. There are 16 lakes; 12 upper and lower 4; which interconnect in the flow of water – blue, green, turquoise or gray. The lakes connect as if they were a ladder; giving the impression of a magical land, surrounded by lots of water and green – if you come on summer, of course. Whoever visits the park during the winter has the chance to see it almost completely frozen; a very idyllic, “Frozen” kind of view. The largest waterfall in the park (Veliki Slap) is 78 meters high; the second largest (Galovački Buk) is 25 meters high. 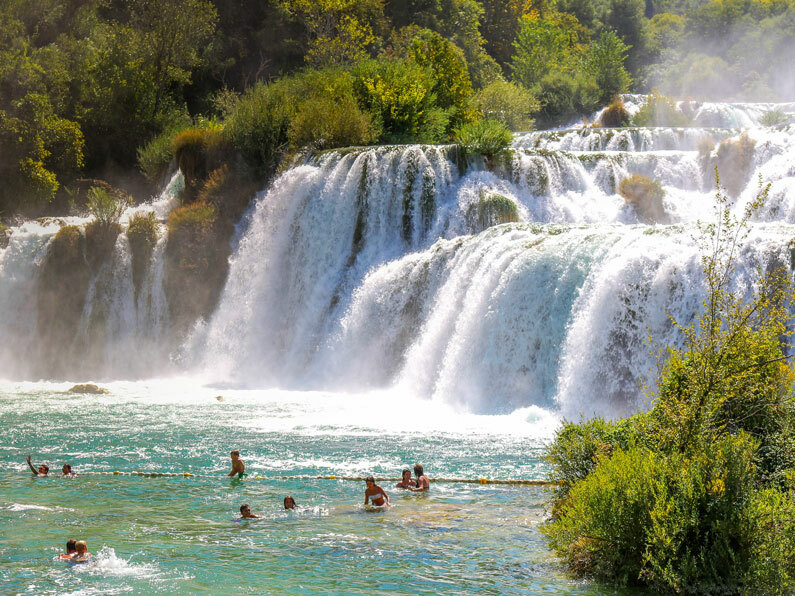 The Krka National Park is in the region of Dalmatia, near the town of Šibenik. Krka waterfalls have the second highest concentration of lavender per square km in Europe. Besides 860 species and subspecies of plants; 18 species of fish and 222 species of birds. Until 2017 it was allowed to swim in some specific areas of the park. So, if you are in search of a new destination for your vacation, I believe you have already found it. 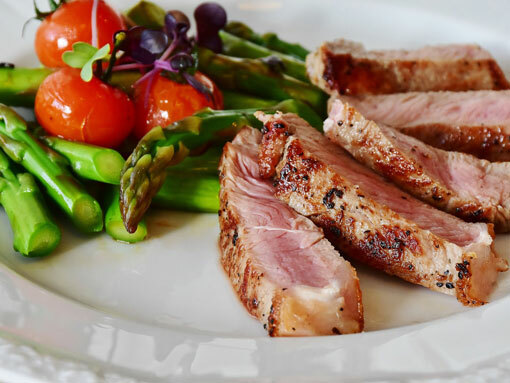 Croatian gastronomy is full of influences from people who have lived here in the past and neighboring countries. 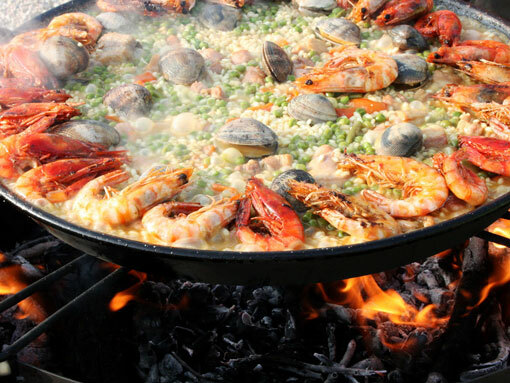 In general, the national dishes are seasonal and change according to the temperatures outside. Some of the most famous traditional dishes here are the soups; beans; cooked and roasted meats, usually pork or lamb and mayonnaise salad. Then you have the beloved sarma (ground beef and cooked rice; rolled inside a cabbage leaf and served with lots of sauce); mashed potatoes. Actually, potato in all different ways! Strukli (a kind of pasta stuffed with eggs and cheese, traditional from the Zagorije region). Mainly lots of meat, sausages; and cevapi (rolls of ground meat that can come accompanied by bread (lepinja) and also lots of onion). 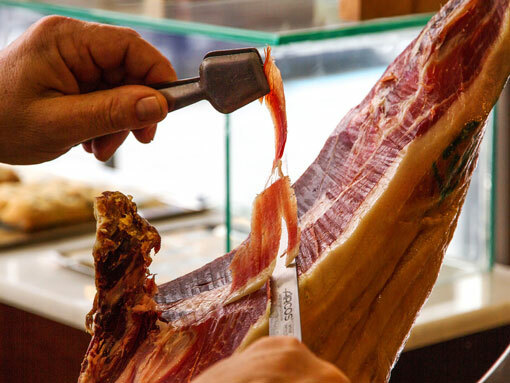 And of course, we must not forget the delicious pršut, also known in Italy prosciutto and in Spain as jámon. The pršut is the cured and dry ham usually cut into thin slices. A national delicacy loved by all! On the coast the seafood is mandatory. So don’t miss the chance to try Black risotto, made with squid and squid ink. Buzara, prawns, and shellfish cooked in a delicious sauce of wine, tomato, and herbs; and served with thick slices of bread. 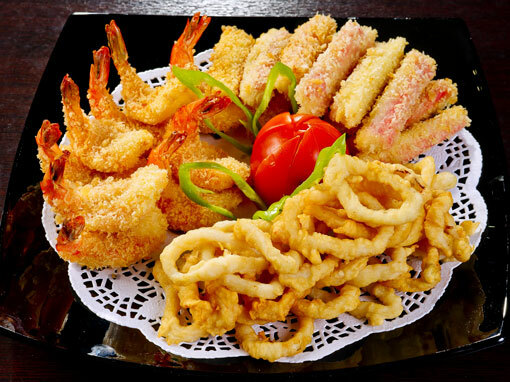 Calamari and Squid – fried, cooked, grilled… Papaline – very small fishes floured and then fried. Fresh oysters, especially in the region of Ston, Split, and Dubrovnik. Pastrva – freshwater trout. The most typical drinks in Croatia are the Gemist – a mixture of white wine and sparkling water. And the Bambus – Coca-Cola blend with red wine. Croatians are used to dilute and mix alcoholic beverages but make no mistake, that does not mean they drink little. Besides these two traditional drinks, the beers are also very popular. The spirits are also a trademark of the country. The Rakija – with very high alcohol level; made from plum; and Pelinkovac; a national liqueur made from herbs. Desserts? Yes, please! Croats do not live without fritules (fried sweet dough) and krafne. 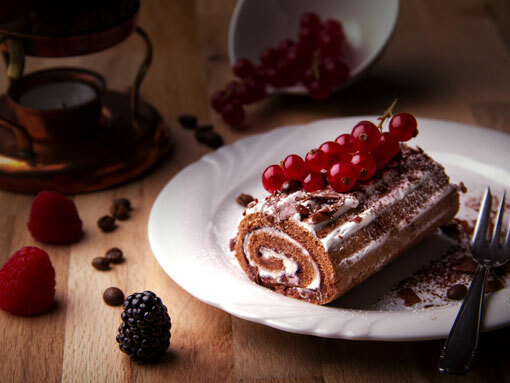 They also love strudel – and yes, we must admit this is from our neighbors, but they are also very loved around here. 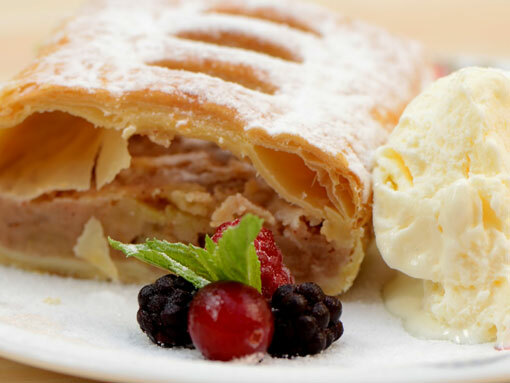 Strudel is more or less like a pie, the most common here are apple and cherry. 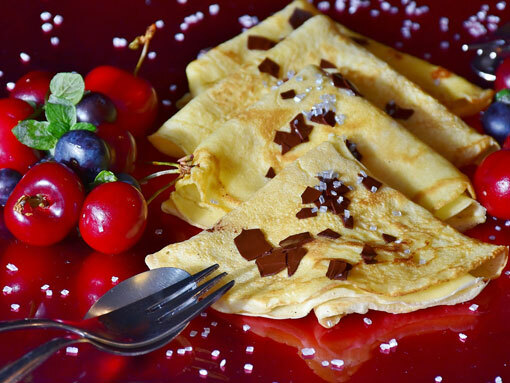 Pancakes (palacinke); ice creams; rolada, and madarice (a layered cake with cream and chocolate). Anyway, we can guarantee you won’t be hungry in Croatia because the food is really tasty and the portions are always well served. It is worth remembering that, unfortunately, Croatia is still a very complicated country for vegetarians; but it is possible to find good options. Are you planning to visit Croatia, but are not sure about how to move around the country? We can help you with that! Take a look at the best routes by bus, train, airplane, ferry, and car. On our text, you will find all useful information about transportation to arrive in Croatia and to move inside the country. The seasons of the year in Croatia are well defined. During winter the temperatures are very low and the cold is intense. But during the summer, temperatures are very high and it is impossible to think of living without a good fan. The summer begins in June and gets very intense in July and August. September still has pleasant temperatures. October is already colder especially in the north of Croatia. In November the temperatures are already low in the whole country, including in the south and the islands. So, from November to the end of March the cold is intense. And April and May, thus, are months of transition. Croatia is part of the European continent, in the region considered as Eastern Europe, or the Balkans. 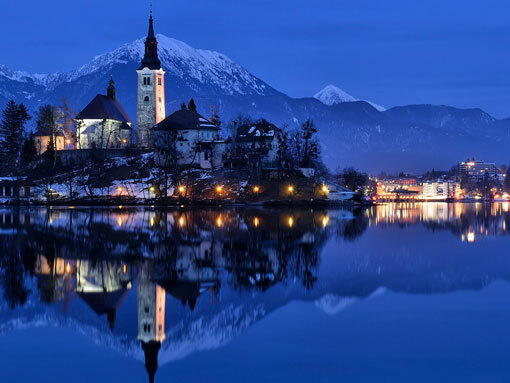 The country borders with Slovenia, Hungary, Bosnia and Herzegovina, Serbia, Italy, and Montenegro. To the west, it borders with the Adriatic Sea and also has a maritime border with Italy in the Gulf of Trieste. Tourism is so relevant to Croatia that it represents no less than 14% of national GDP! So, the infrastructure that the region offers to visitors is significant and only tends to improve. Hundreds of hotels, award-winning restaurants; protected nature; wineries. And a new generation who speaks fluent English. The official language of the country is Croatian or Servo-Croatian, a Slavic language. But in most cities and tourist spots, it is easy to find people who speak English, especially among young. Croatia has around 4 million inhabitants. And despite being part of the European Union since 2013, is not yet part of the Schengen zone. 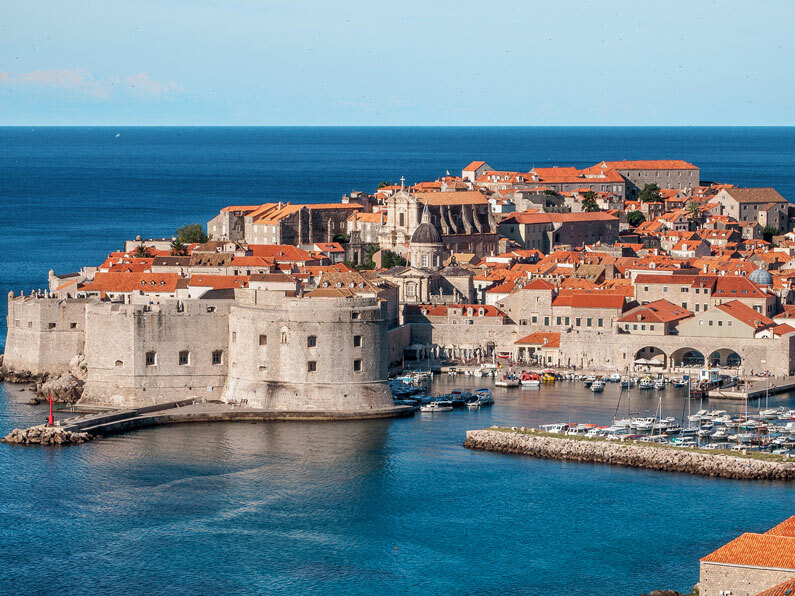 The local currency used in Croatia is the Croatian Kuna (HRK) and the euro is not accepted. 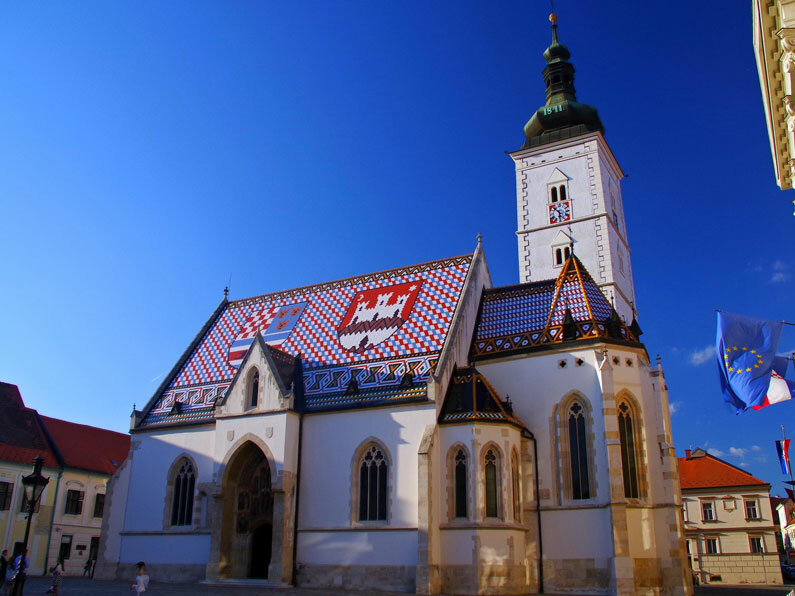 Zagreb, the capital of the country, has approximately 800.000 inhabitants and is the largest Croatian city. Split, on the Dalmatian coast, is the second largest city in the country with half of the capital’s population. The majority of Croatian population is Christian. And the political system is the Constitutional Parliamentary Unitary Republic.